FROM OUR FAMILY TO YOURS! NOW ACCEPTING DEPOSITS FOR SPRING 2015!Currently Accepting Deposits! 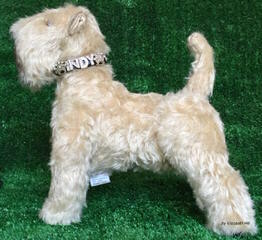 Soft Coated Wheanten Terriers from our family to your family. We offer well loved, socialized puppies. •Raised with our three boys. 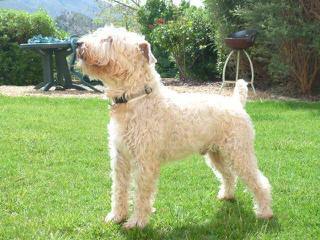 •They are beautiful animals, excellent quality and have personality plus. 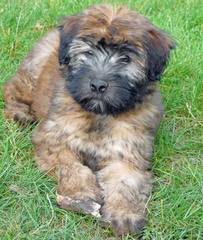 •Each puppy is loved and cared for individually and will have the best mobile vet care by our vet Dr. Rodgers •An excellent quality that Wheatens offer is they do not shed and hypoallergenic. 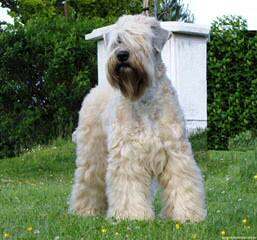 919-521-0827 Visit us at North Carolina Wheaten Terriers to learn more about our family and our puppies.Become a part of our Wheaten family! 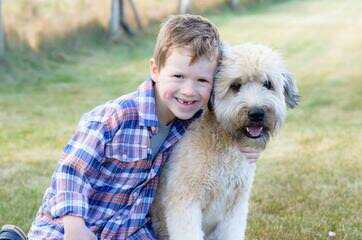 WE STAY IN CONTACT WITH ALL OUR FOREVER FAMILIES AND SUPPORT THEM THROUGH THE YEARS ON FACEBOOK! JOIN OUR FAMILY AND ATTEND OUR ANNUAL FOREVER HOME REUNION! WE WILL NOT SHIP OUR PUPPIES OR SALE TO PET STORES !!!! ONLY THE BEST FOREVER HOMES FOR OUR PUPPIES!! 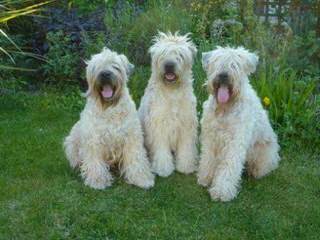 Home raised Irish Soft Coated Wheaten Terriers. 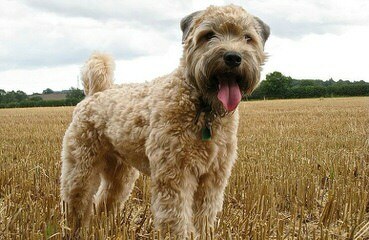 Wheatens are perfect companions for the whole family. 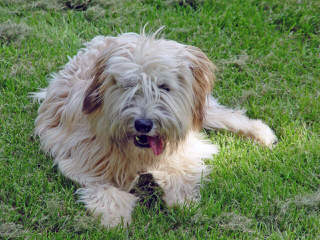 Playful, sweet, affectionate, funny and smart, they are wonderful family pets. Bonus : they are non shedding dogs ! We put love and pride into each of our litters and are very proud to have you visit our home! You are welcome in our home anytime after the puppies are six weeks old. We understand that puppies sold in the mid-west, sale for less. But by the time you pay shipping or fly to get your puppy, you probably invested quite a bit more. 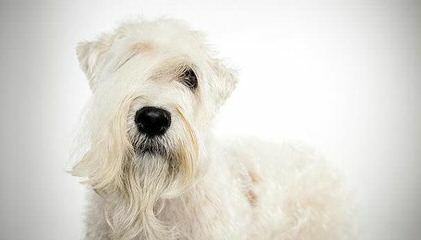 The dogs bred in the mid-west are very likely to come from a puppy mill. They are poorly socialized and if shipped most likely will have anxiety issued through out their life. You will not be allowed to visit the facilities. (It would break your heart if you did). Our dogs are cared for by our mobile vet. I supervise the birth and spend the first 24 hours with them! 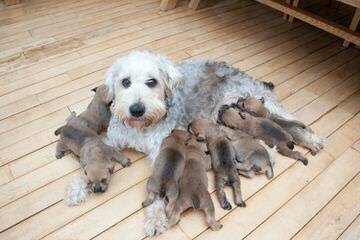 I insure that each puppy is latching to its mother and they are all getting the nutrition they need. Our vet will visit with in the first few days to evaluate each puppy, dock their tails and remove the dew claws. He will again return when they are 6 weeks old and administer their first shots. 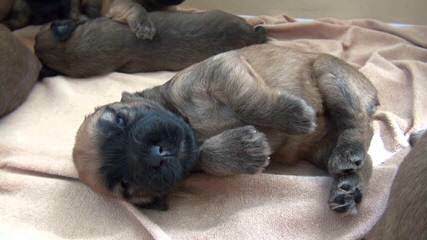 We will give you a personal vet report on each of our puppies. Our puppies are in our home with our three boys, they are all loved held and cared for daily. You truly get what you pay for! Deposits Currently Accepted! 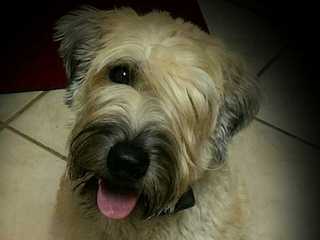 $300 deposit is required to be placed on our Forever Homes wait list, also gain access to our exclusive face book group which allows you to view pictures of our wheatens and speak to the other forever families about their experience. Our puppies are raised in our home with our family. 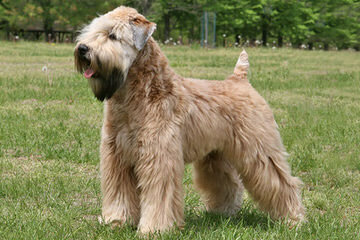 We have been raising Wheatens for over 20 years. 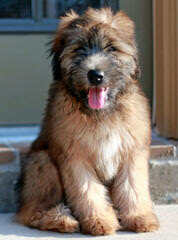 We breed for quality puppies with excellent temperaments and they will make a wonderful addition to any household. Male and Female babies. 600 to 800 each. non shedding. 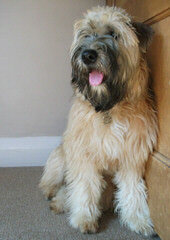 for more info please call..
As a kennels we breed for type and temperament above all. 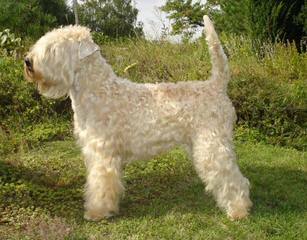 We have had some sucess in the show ring with Nine of our dogs qualified in 2009 for Crufts, 5 of which were placed. 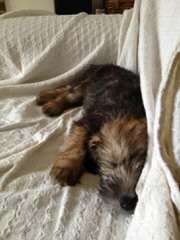 We sometimes have puppies available to approved homes.